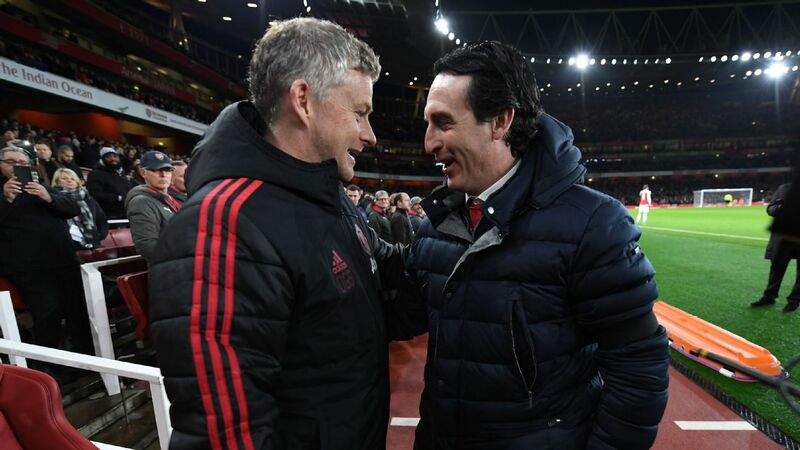 Manchester United and Manchester City won their respective games in contrasting fashion, Arsenal claimed a draw against Liverpool and Chelsea have begun as well as they did in title-winning seasons. 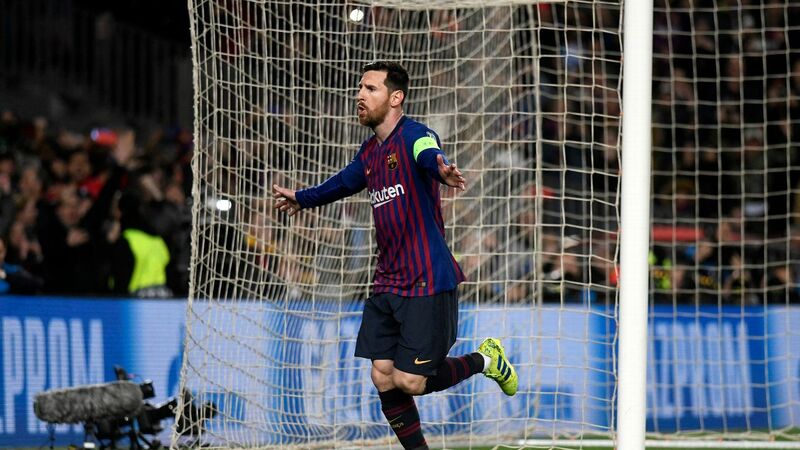 Elsewhere, cracks seem to have appeared in Bayern Munich's dominance while PSG continue to march on. The number of goals Bayern Munich have conceded after the 87th minute this season at home. This is more than the previous eight Bundesliga campaigns combined. Lucas Holer scored in the 89th minute for Freiburg to make it 1-1 and deny Bayern a win on Saturday. Marcus Rashford has scored two 90th-minute winning goals in the Premier League for Manchester United -- no player has more for the club (level with Paul Scholes and Robin van Persie). Rashford's winner came in United's 2-1 win over Bournemouth on Saturday. This is the first time in Premier League history that two Brazilian players have scored at least twice on the same day in the competition. Felipe Anderson scored a brace against Burnley and Richarlison did so too against Brighton and Hove Albion. Points won by Arsenal from losing positions this season, the most by any Premier League team this season. Alexandre Lacazette scored Arsenal's equaliser in their 1-1 draw against Liverpool on Saturday. Leicester are the only team to have scored in each of their 11 Premier League games this season; Demarai Gray's goal in their 1-0 win over Cardiff City kept that run alive. Maurizio Sarri is now unbeaten in his first 11 Premier League matches as manager after Chelsea's 3-1 win over Crystal Palace on Sunday. 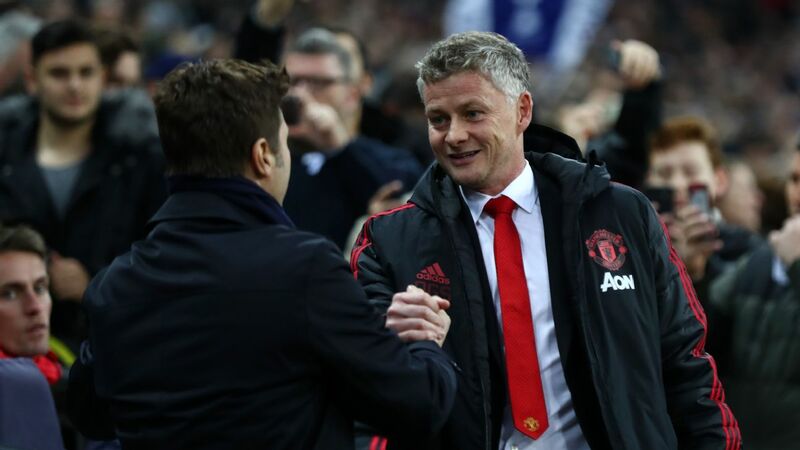 He shares the Premier League record (for unbeaten starts in a debut season as club manager) with Frank Clark, who achieved it with Nottingham Forest in 1994-95. This is the third time in the Premier League that Chelsea have remained unbeaten after 11 matches; the last times they did it in 2005-06 (11) and 2014-15 (14), they won the league. Paris Saint-Germain, after beating Lille 2-1 on Saturday, have now won their first 12 games in Ligue 1, breaking Tottenham's record for the most consecutive wins at the start of the season in Europe's top five leagues. Man City have scored 5+ goals in a Premier League game for the 12th time under Pep Guardiola. No other team has done so more than six times in the same period. 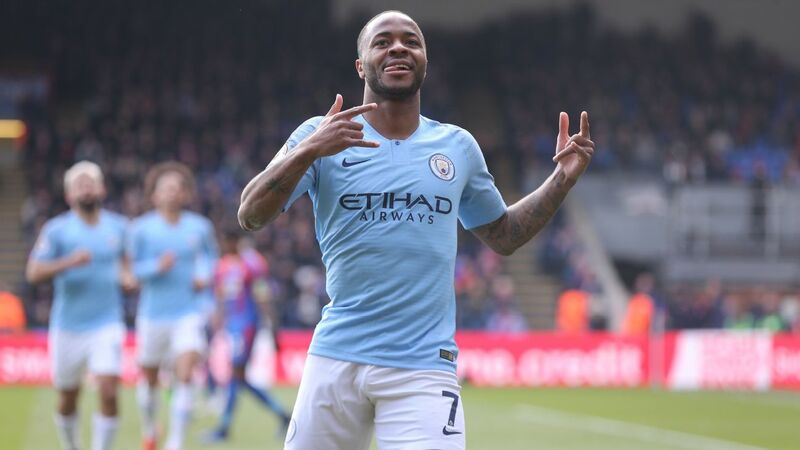 Manchester City are unbeaten in 30 Premier League games when Raheem Sterling has scored (W29 D1). Only Carlos Tevez (39 games) has a longer streak with City. Sterling scored twice in Man City's 6-1 win over Southampton. 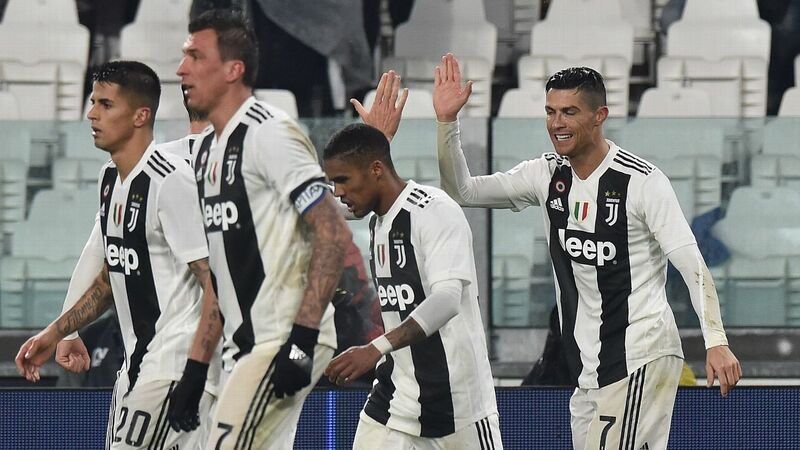 Juventus have 31 points, their best-ever start in a Serie A season with 11 games played. They beat Cagliari 3-1 on Saturday to move six points clear at the top (10 wins and a draw). Kylian Mbappe became the youngest player (19 years, 10 months and 13 days) to reach 40 goals in Ligue 1 in the last 45 seasons. He scored the opener in PSG's 2-1 win over Lille on Saturday. James Milner has extended his Premier League record for the most games in which he has scored without losing -- that's 49 games undefeated. Milner scored Liverpool's opener in their 1-1 draw against Arsenal on Saturday. Sergio Aguero scored his 150th career Premier League goal in Manchester City's 6-1 win over Southampton on Sunday. Aguero reached the milestone in 217 appearances, making him the second-fastest to do so after Alan Shearer (212 appearances). 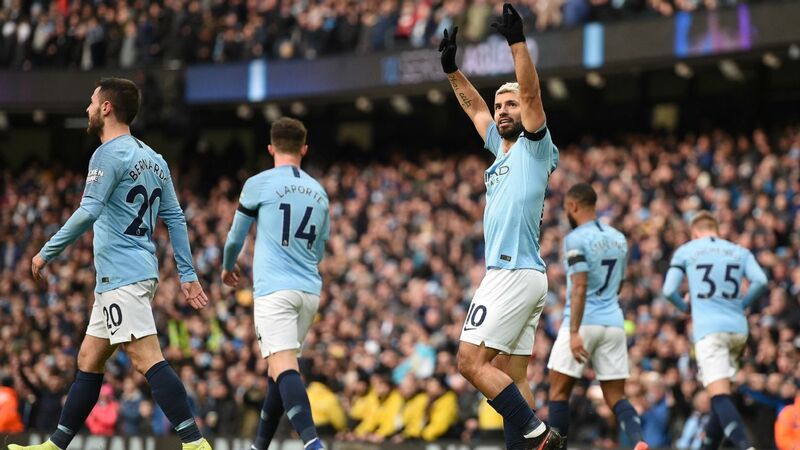 Aguero is also just the third player to score 150 Premier League goals for a single club, after Thierry Henry for Arsenal (175) and Wayne Rooney for Manchester United (183).